Approximately 72% of the accidents involving pedestrian injuries occur at night. 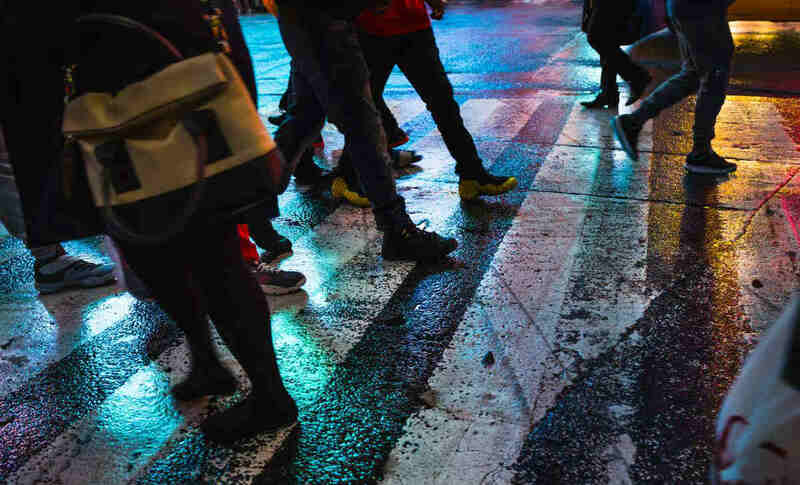 Anyone who lives in a big city would agree that walking along the streets comes with its own risks, especially when walking adjacent to a busy roadway. If a driver is in an accident or loses control of the vehicle, it is possible that that you could be caught in the wrong situation at the wrong time. When you are walking at night, you are at a greater risk of getting injured. Low visibility: This could be due to driver’s car not having proper headlights or poor street lighting. Vision is limited at night than in the day. Drunk driving: Studies show that over 50% of drunk driving crashes occur between midnight and 3am, especially during the weekend. Clothing: Dark clothing makes you less visible at night, so you must make bright or light colors, preferably with reflective tape to improve visibility. Reaction time: At nighttime, the driver’s depth perception is poor, and this slows down their reaction time significantly. Adverse weather: Snow, ice and rain can limit driver’s vision and can hinder the control they have on their vehicle. According to studies, around 72% of the accidents involving pedestrian injury occur at night and 78% of these happen in urban areas. The number of pedestrian deaths has increased over the past few years, which could be attributed to the concurrent increase in distracted driving. According to the Centers for Disease Control (CDC), one in five children under the age of 14 years killed in traffic crashes were pedestrians. So, it is important to teach children safe street crossing rules such as looking both ways and making eye contact with the driver. If no sidewalk is available, kids should walk facing the traffic so that they can see vehicles coming. Whenever a pedestrian accident happens at night, the drivers often say that the pedestrian appeared from nowhere. While this may be true, considering the poor visibility conditions, this will not absolve them from fault. The problem is that it is not always easy to determine fault in a night time pedestrian. If the pedestrian can prove that the driver was under the influence of drugs or alcohol, speeding, or ran a red light, and hit him/her as a result, the driver would have accept complete fault. However, even the pedestrian could be partially or completely at fault such as when they do not cross the street at a designated spot. Jaywalking does not give drivers enough time to respond, because they do not expect to see a pedestrian there. Missouri uses comparative negligence law, which means you will get damages even if you are 90% at fault. If you or a loved one have been injured by a negligent or reckless driver, contact The Hoffmann Law Firm, L.L.C. by calling (314) 361-4242.